T&D distribute the full range of Split Bolt Connectors suitable for connecting and jointing a wide range of stranded copper earthing conductors – no specialist tools are required for installation. The range taking mechanical connectors provide excellent earth connections for copper stranded cables and conductors in main and tap formation without resort to use of crimping tools. These split bolt type connectors are manufactured from Gunmetal (a high copper alloy) and can connect earth cables and conductors, 1.5sqmm-240sqmm. Split bolt connectors are available to connect, crimp or joint main copper earth conductors 10-240sqmm with a tap conductor up to 1.5-240sqmm. 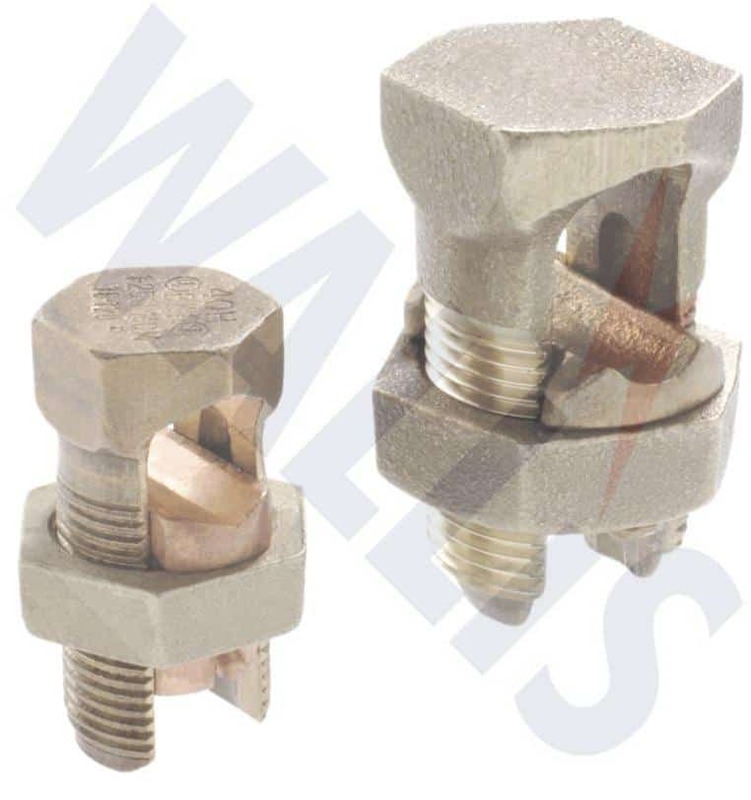 ➡ Contact T&D for competitive prices and fast delivery from stock for Split Bolt Connectors.